A collective national spirit is never subjected to a perfect convergence though it is always advancing towards it. Thus a categorical compartmentalisation is often evident between the urban and the rural centres of literary activity. Often we hear words of protests denouncing the overwhelming dominance of the urbanised mainstream literati. As a matter of fact big cities may not be providing a life-line to the highly charged creative pursuits at an individual level but definitely remain a seat for the overall turbulence in literature as in other spheres. The popularly known Shaista Ikramullah was Shaista Suharwardi before she was married. Being one of the earliest Muslim women to have been formally educated it comes as no surprise that Suharwardis were educationists themselves and ardent proponents of education in India. Professor Anna Suvorova is a leading Russian orientalist and chairperson of the department of Asian literature at the Moscow's Institute of Oriental Studies which is part of the Russian Academy of Sciences. She spent three week in Lahore in November where she was the guest of Professor Durre S Ahmad at the National College of Arts. Professor Anna Suvorova's field of specialisation is Urdu literature and Indian Muslim culture. 'The Poetics of Urdu Dastan', 'The Sources of Urdu Drama', 'The Twentieth century Drama in India' and 'Pakistan and Masnavi: A study in Urdu Romance' are the titles of some of her Russian books that have been translated into English. Interestingly, almost all the major authors of our time belonged to small towns and villages who later migrated to cities. Iqbal, Rashed, Faiz, Qasmi, Nasir Kazmi, Wazir Agha, Munir Niazi, Intizar Hussain are just a few names. Majid Amjad perhaps remains the only exception who attained the status of a major poet without ever leaving the bounds of Sahiwal and Jhang. Zafar Iqbal spent most of his life in Okara and, realising the dominance of his contemporaries living in big cities, decided to neutralise their advantage -- by creating more and getting himself published. He eventually shifted to Lahore where he presently resides. Alongside other trends, literary journalism flourished at a galloping pace in cities and for obvious reasons. Small towns haven't altogether failed to register their presence in this domain, although such journals did not leave a palpable impact nor could they become regular endeavours. It may be relevant to note that there has been no dearth of serious and organised literary efforts in smaller towns since a smaller setting is more conducive to the interactive climate. It is easier for intellectuals from small towns to gather more conveniently and regularly but going for a full time literary journal on a regular basis is perhaps too daunting due to lack of sponsorship etc. Therefore if we get a quality journal from a suburban settings, it only goes to show the unwavering commitment of those behind such a pursuit. 'Hareem-e-Adab' is one such journal coming from Burewala. Its fourth issue reached the bookshelves last month. The editor Dr Javed Haider Joiya is a learned man with the vision and devotion for publishing a literary magazine of substantial quality and volume. The journal reminds one of 'Auraq' (Editor: Wazir Agha) in both its presentation and content. The key article is written by the editor himself on structuralism and post-structuralism -- the integral parts of the post-modern criticism. He observes: "New thought doesn't mean a specified propaganda. All that wasn't present before is new. In this perspective structuralism and post-structuralism are not old theories in Urdu 'Hareem-e-Adab' intends to initiate an unbiased and independent discourse on the issue without limiting itself to this issue alone." He denies the presence of any vested interest, a statement perhaps not required. Post-modernism is a recurrent pre-occupation of the editor. Applied Criticism -- the applied aspect of the theory -- is his main thrust. Meera Ji, Saeed Ahmad, and Satya Paul Anand's poems are analysed by Nasir Abbas Nayyar and Perveen Tahir, while the special section on Rafique Sandhelvi is again frequented by the analytical criticism based on post modernism. A detailed interview of the modern poet Naseer Ahmad Naser is included where he takes up different literary issues and personalities with an unmasked air of superiority. Haider Qureshi writes candidly on Shams-ur-Rehman Faruqi's novel 'Kai Chand thay sar-e-Aasman.' Among the younger contributors Shanewar Ishaq, Fahim Shamas Kazmi and Navid Raza deserve special mention. It's a trilingual offering and English translations from select Urdu literature serve the purpose well, although failing to meet the desired standard at times. 'Sher-o-Sukhan' from Mansehra is another such journal with an obvious difference in volume and quality from the aforementioned journal. The editor Jan-e-Alam is a promising literati trying his hand both in poetry and fiction. It includes select authors through special numbers. The current volume (No.32) documents the regularity it has maintained. Mushfiq Khwaja was a research scholar of an exceptional stature. His letters to his contemporaries are a subject of discussion these days. Parto Rohila's piece on Khwaja is valuable. Late Mohsin Bhopali, a highly significant ghazal poet, is critically discussed as a poet and person by Dr Qurat-ul-Ain Tahira. Famous religious scholar Dr Israr Ahmad in 'Aql aur Naql' deals with the topic in Islamic historical perspective. He expresses his concern regarding a proper understanding and reinterpretation of Iqbal's lectures. There are book reviews and writings on different literary personalities. The fiction section is dealt a bit casually and fails to impress while the poetry section presents rich pieces by a good number of poets. Among these Sultan Shakoor, Rustum Nami, Mohammad Hanif, Talib Ansari, Taranum Riaz and Jan-e-Alam himself outshine fellow contributors. Journals like 'Hareem-e-Adab' and 'Sher-o-Sukhan' differ from the mainstream literary journalism in many ways. The impulsive liberty inherent in such projects has the potential to lead to fiery flights of self-glorification. Editor are the most likely to become vulnerable to such temptations. Dr Javed Haider Joiya and Jan-e-Alam have displayed an enviable strength of personality to remain aloof from such temptations. These journals betray an honest quest to serve literature. Most of the educationists who championed the impartation of education limited themselves to men only. Fearing stiff opposition, many did not mention women in the same breath as men. It was decades later that women's education began to gain as much importance as men's. Bengal had a head start. The European influence had infiltrated in that area about a hundred years before its full impact was felt in Delhi and Lucknow. After the battle of Plassey the East India Company set up its headquarters in Bengal and started to develop Calcutta as the most Europeanised of the subcontinent cities. Women's education too was accepted gradually by the native elite. Muslims were the last to be drawn into it -- willy-nilly their rigidity was forced to sway to the winds of change. By the end of the 19th century certain magazines started to be published that mainly focused on women issues. Maulvi Mumtaz Ali started his 'Tehreek-e-Niswaan' from Lahore in 1898 while some of the most enlightened Muslim women associated themselves with it. Sheikh Abdullah began publishing 'Khatoon' from Aligarh and from Delhi 'Ismat' was printed. These magazines mostly focused on women's education and their conjugal rights. Shaista Suharwardi became associated with 'Ismat' in the third decade of the 20th century and contributed to it for the rest of her life. 'Ismat' did not appear regularly but the association continued. 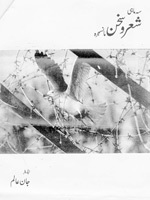 The present selection of writings by Ahmed Salim is from the files of 'Ismat'. Shaista Akhter Bano was born in 1910. She joined a missionary school despite opposition from members of her family, for it was considered improper to be sending a grown up girl to school. She continued her education till her marriage at the age of eighteen to Ikramullah when she shifted to Nagpur to live with her in-laws. Shaista followed the footsteps of her aunt, who wrote for 'Ismat', and started writing for it in 1934 and continued, with breaks, till the 1980s. Shaista Ikramullah was an educated woman at a time when formally educated Muslim woman was a rarity. Later she was married to a senior civil servant who rose to some of the top administrative positions in the government of Pakistan. She was thus prepared to receive the influences, absorb them and then critically assess them. Neither was she totally uneducated to keep away from the public role of the husband, neither half educated to become a carbon copy and a mirror image of her spouse. She carved a role for herself and her writings are evident of varied interests. She wrote about the changing role of woman, the importance of education, the difference between the East and West. Moreover, she was also quite aware of the literature being produced in the country especially in Urdu, and it was not only limited to the writings of women. She pointed to the salient features, strengths and weaknesses of their writings. She also wrote about her own life. The selection also carries an article on Ruttie Jinnah. So little is known about Ruttie that any material on her is welcome. Obviously there is no independent source to verify the veracity of the facts that the author had penned but Ruttie comes across as a very humane and loving person. It is actually very difficult to assess her as a person for she was the estranged wife of the father of the nation and had become a taboo. Most do not even consider that aspect and pretend that she did not exist or had existed but as a temporary error that was soon rectified. In matters of the heart and human relationship meetings and separations do not go away -- it is not yet totally disposable. Any material on the woman is valuable. The foreword to her writings had been written by two very celebrated Indian women --Qurratulain Hyder and Saleha Abid Hussain -- testifies to the fact that Muslim women have so much to share when it comes to their problems in the subcontinent. One of her books 'Nostalgia for Lucknow' gives a detailed account of the 18th and early 19th century culture of the city. Her latest book 'Sufi Saint of South Asia' is on the early development and socio-political role of Sufism in our South Asian region. Its English translation was published a few years ago while the Urdu translation was brought out by the Mashal Books of Lahore in the third week of November. Professor Anna Suvorova is presently working on a book on Lahore; the main purpose behind her visit was to collect material for the book. "Three chapters of the book," she told me, "have already been penned. One of them is on Anarkali. I am of the view that the tragic story of this Mughal-era character needs a new interpretation. My chapter on her has already been published in the American Journal of History. Lahore is a historical city of more than ordinary importance. It has been the cultural centre of the Indian subcontinent for centuries. In fact, it is one of three ancient cities whose gates earned immense historical and social significance." "Which are the other two cities?" I asked. "One of the two is Jerusalem, the city of prophets and the other is Babylon," replied the professor who belongs to the Russian Orthodox Church. "I have been idealising the city of Lahore since long and have now prepared myself to write a book on it." The Lahore chapter of the Pakistan Academy of Letters, in collaboration with the South Asian Free Media Association, arranged local writers' dialogue with the Russian scholar. The event was chaired by Intizar Hussain and the participants included Syeda Hina Babar Ali, Salma Siddiqi, Azhar Javed, Dr. Younas Javed, Saeed Sheikh, Imtiazul Haq and Imtiaz Alam. The launch was organised at National College of Arts by Mashal Books facilitated by the NCA's Research and Publications Centre. It was chaired by Syed Afzal Haider, Federal minister of law who has authored about ten books on Sufism. Shafqat Tanvir Mirza and Khaled Ahmad spoke about the book and the author. 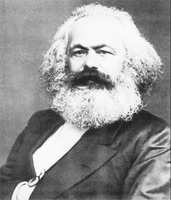 Dr Sam Shuster, a teacher at the British University of East Angilia, has come up with a new explanation of Karl Marx's revolutionary ideas. In an article published in 'The British Journal of Dermatology', he claims that the founder of the communist ideology suffered from "a chronic skin disease with known psychological effects that may well have influenced his writings." The disease, hidradenitis suppuraative, blocks and inflames the Apocrine sweat glands. "In addition to reducing Marx's ability to work, which contributed to his depressing poverty, hidradenitis greatly reduced his self-esteem," Sam Shuster explains. The learned professor deserves a pat on the back for enlightening us on the physiological origin of the Marxist ideology. The only thing he has conveniently forgotten to take into account is that Karl Marx's ability to work was enviable while his self-esteem knew no bounds. Edited and published by noted poet Khalid Sharif, the monthly 'Mavra' is a new literary magazine. Its current issue carries two important articles: one by Saqi Farooqi and the other by Kishwar Naheed. Saqi Farooqi writes about the last years of the poet N. M. Rashid while Kishwar Naheed remembers Faiz Ahmed Faiz whose 23rd death anniversary was observed in the third week of November. The issue also includes two more articles on Faiz written by Javed Chaudhry and Salma Siddiqi. The publication of 'Adab-e-Latif' was started by Barkat Ali Chaudhry in 1935 and has managed to sustain its existence against all odds. It is now edited and published by Chaudhry sahib's daughter Siddiqa Begum. The magazine has introduced a number of writers and played a significant role in the evolution of Urdu literary journalism. The latest issue of 'Adab-e-Latif' includes a 40-page section on fictionist Qurratulain Hyder. This section carries four articles by three authors namely Dr. Ghulam Shabir Rana, Gulshan Khan and Younas Hasan. Another article has been contributed by a notable literary critic and teacher of Urdu literature, Professor Ghulam Hussain Sajid. He has given a short review of Urdu literature produced in Pakistan during the past sixty years. A short story titled 'Kai Chehray' by Neelam Ahmad Bashir is a fascinating read. The section on poetry includes new poems and ghazals of Zohra Nigah, Mah-e-Talat Zaidi, Nasir Zaidi, Amar Sohail, Khyal Afaqi and Hameeda Shaheen. 'Daryaft' is the title of the annual research journal of the National University of Modern Languages, Islamabad. Edited by Dr Rasheed Amjad, the sixth issue has recently reached the readers. The 926 page journal provides the readers with the latest pieces by some thirty scholars and writers. The list includes some big names like Dr Jamil Jalibi, Dr Tabasum Kashmiri, Dr Saadat Saeed, Dr Najib Jamal, Dr Nasir Abbas Nayyar and Dr Moe-ud-Din Aqeel. Dr Khalid Sanjrani, a young teacher of literature, has contributed an article on some famous neurotic characters of western fiction. Dr Rashid Hameed has explained Allama Iqbal's concept of history in his article while Shakar Kundani has critically analysed the humanistic teaching and poetry of Baba Kabir.